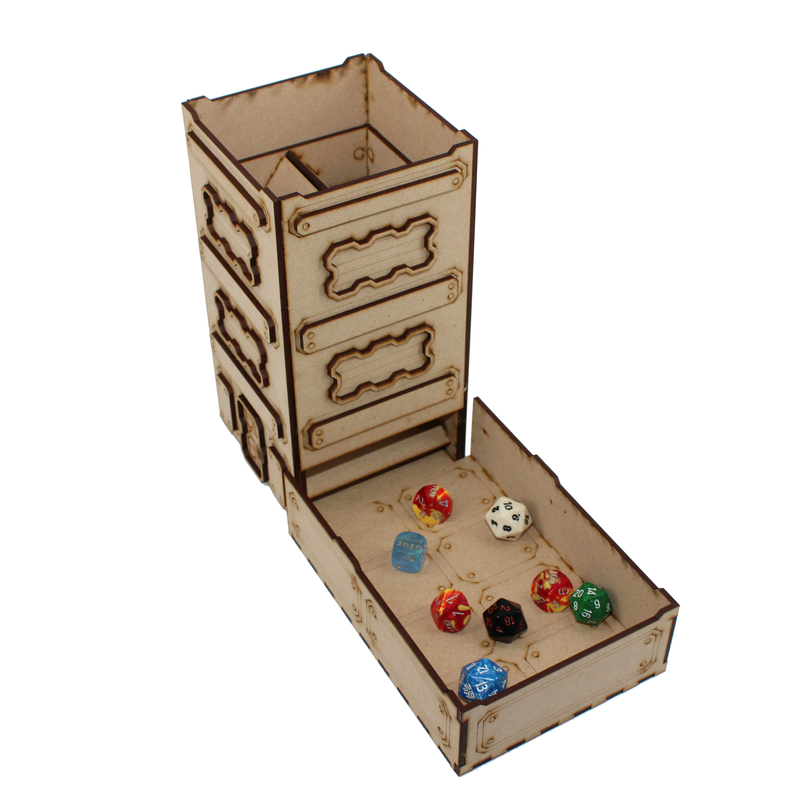 Our dice tower features three sets of tumblers to randomize your dice in all three dimensions. The tower assembles in four discrete levels and slips tightly into the technological and armored Sector 38 textured outer sleeve. The dice tower has a compact footprint of a little over 4 and 1/2 inches without the trayand stands 8 and 1/2 inches tall. The tray is a separate piece (8 and 1/4 by 4 and 3/4 inches) that slots into the tower base for rolling OR May be placed over the top for storing on the shelf. It will roll dice of the size of D20 Spindowns and smaller. The tower is also designed to be same height as our other Sector 38 buildings and may be connected to them with stairs and bridges. 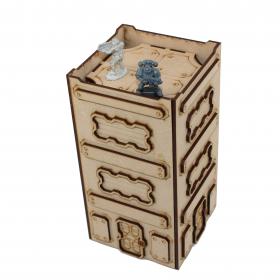 There is a seperate insert included to allow the top of the tower to be used for miniature games. 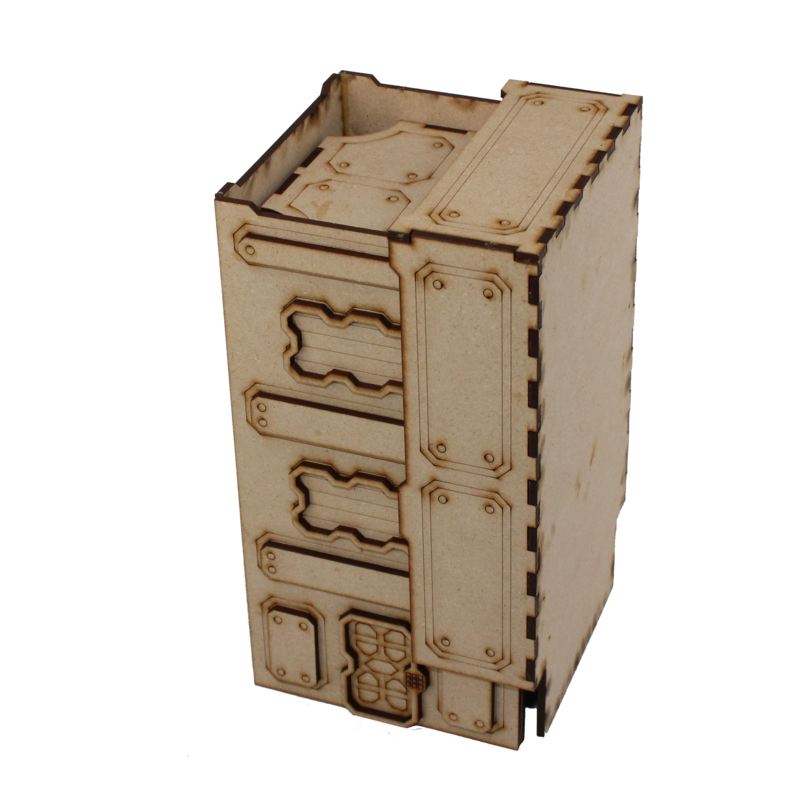 Made of sturdy 3mm MDF board and precision laser cut.